Bad Meetings are a choice. Help your company make better choices. How? You might feel trapped in meetings that happen to you, but there are behaviors that anyone can introduce into meetings that trigger everyone’s awareness that it could be better. Ask who is facilitating. Take notes in a place where everyone can see them. These behaviors and others like them help bad meetings look in the mirror and say, hey, I can be better. Hire me to do a 1-2 day workshop to show your team how to make the most of any time you have together. 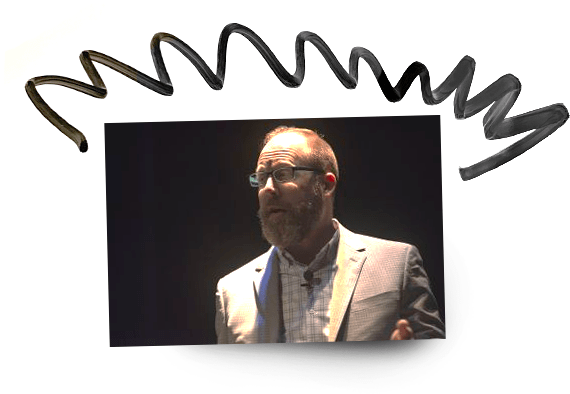 Invite me to your conference or corporate event to share with your group what I’ve learned about designing meetings. Hey, there. I’m Kevin M. Hoffman, a manager, designer, and author that has been building digital tools and supporting great design since 1995. 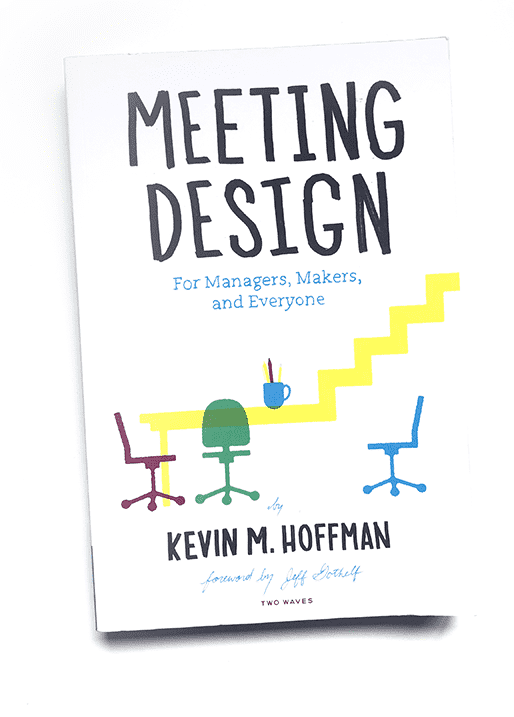 I believe that having a good meeting is practicing the purest form of design: creating great experiences between people. Better meetings add value to our lives at work and at home, and they help make things that matter real in the world. Buy my book on Amazon or Rosenfeld Media. An Event Apart, Washington D.C.
© 2018 – 2019 Kevin M. Hoffman. All rights reserved.